Rain today... Snow tomorrow. 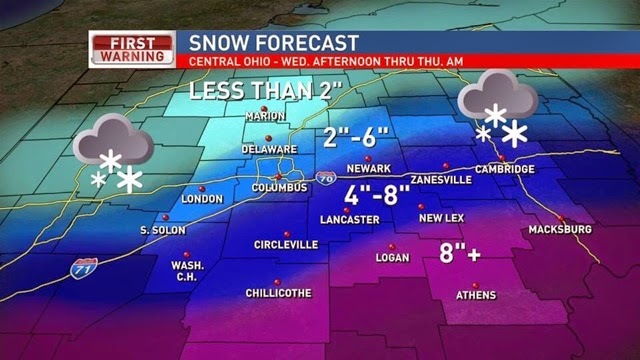 And we have the potential for a LOT of snow. Here's a look at the coming snow. There will be a sharp cut-off from 6" to very little. A lot will depend on the track of the heaviest snow bands and that will be a game-time observation based on radar data. 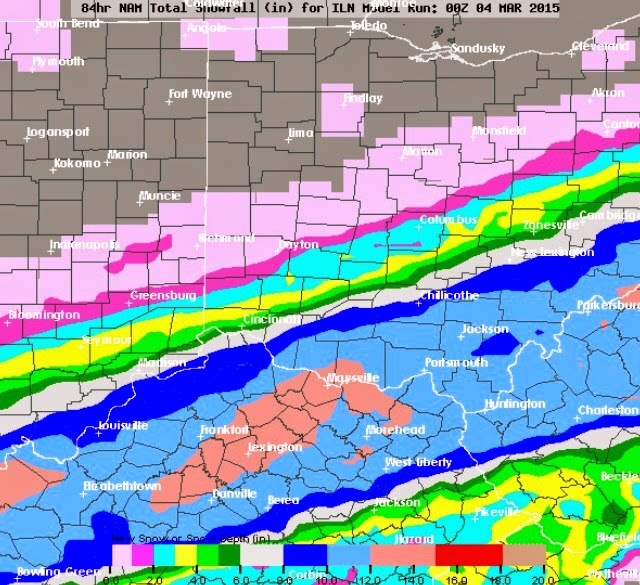 So stay tuned to changes, but South/Eastern Ohio likely going to get a LOT of snow. We will see the rain transition to snow Wednesday morning and it will be fairly light at first then pick up in intensity Wednesday night through Thursday morning. 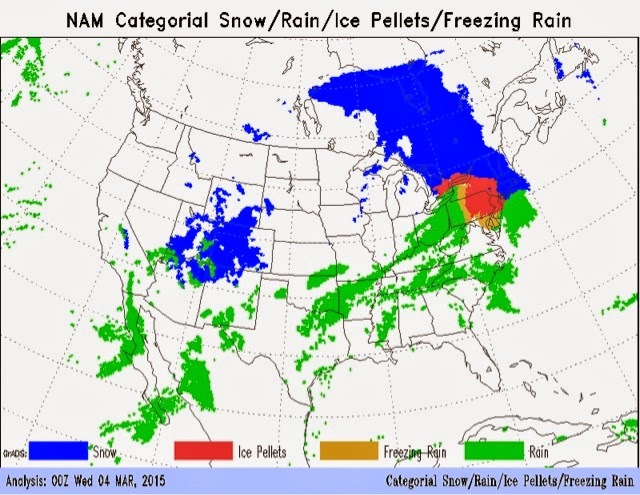 This is the latest NAM forecast. It was the first model showing this snow moving in. I still think it may be running just a tad high on the totals, but time will tell. Cold air returns for Friday, but we warm up a little for the weekend. I hope the warm weather remains. Hey, sun sets an hour later Sunday... So there's that! Have a good one!